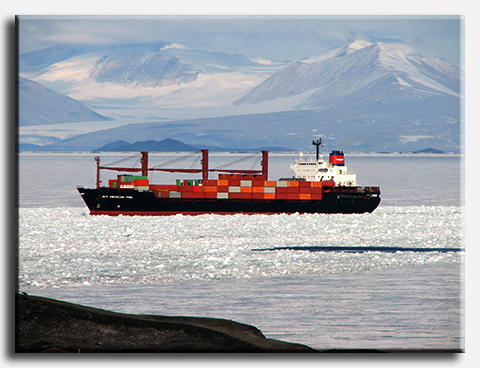 Annual visits by this or a similar ice-strengthened container ship deliver between 10 and 12 million pounds of cargo used to McMurdo Station for use at the station and distribution to South Pole Station and other inland sites. The ship also takes between 9 and 10 million pounds of retrograde cargo, including U.S. Antarctic Program waste for recycling or proper disposal, to the United States and carries scientific samples back for distribution to the science groups. It is operated under contract to the Military Sealift Command.